We have arrived once again at that wonderful celebration of the very precious gift that the Lord has given us in taking flesh and being "born of a woman." This woman is the one who helps us in a unique way in our journey with Jesus. She is the great companion who has gone before us, our Mother Mary. How striking she appears in the image of the tilma of Juan Diego, the mysterious image through which she communicates her presence at the center of the American continent and indicates her openness to every person and to all peoples. Our Lady of Guadalupe is with us above all to draw us into her tenderness. She wants us to give her our burdens and sorrows and to listen to her so as to discover in a new way that each of us is loved, personally, intimately, by her Son Jesus. Each one of us matters. Each one of us has a purpose. Above all, each one of us is the child of a good God who will not fail us in time of need. 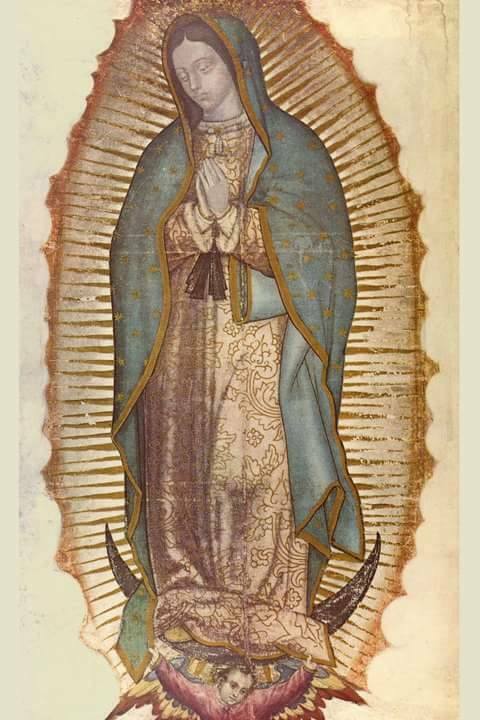 Nuestra Señora de Guadalupe, pray for us.